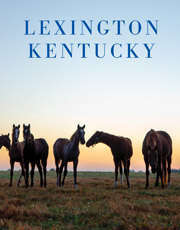 LEXINGTON - VisitLEX today announced two staff hires for sales and marketing. Meghan E. Roberts has been hired as a sales & service assistant, and Nora Brunner will become a marketing assistant. Roberts formerly was member/sponsor/event services director for the Kentucky Association for Economic Development (KAED). Prior to that, she served as international sales director for the Kentucky Department of Travel and Tourism. "I am excited to have Meghan join the team and share her support and creativity as we continue to attract new conventions to Lexington and assist meeting planners to sell our beautiful destination," said Marci Krueger-Sidebottom, vice president of sales and services for VisitLEX. "Meghan&apos;s sales experience from the Kentucky Department of Travel and Tourism, along with her event management talents at KAED, will be beneficial in helping us reach our goals." Brunner has served as a management trainee at Enterprise Holdings in Nashville and interned at a variety of travel and tourism organizations, including the Bowling Green Area Convention & Visitors Bureau and the Kentucky Department of Travel and Tourism. "Nora brings great enthusiasm to the job as well as a background in targeting a young demographic," said Gathan D. Borden, vice president of marketing for VisitLEX. "Her multi-disciplinary work with creative content, research and database development will augment the strong efforts VisitLEX is currently undertaking in those areas."